When we talk about the cloud, we usually hear of Paas, Saas, and Iaas. This talk introduces Maas i.e Metal as a Service to the audience. Foreman is an open source project that helps system administrators manage server throughout their life-cycle, from provisioning and configuration to orchestration and monitoring. This talk consists of a brief introduction to the Foreman Project and Foreman Discovery, followed by a deep understanding of Maas and how it is implemented in Foreman Discovery. Lastly, the aim of this talk would be to encourage newbies to contribute to the Foreman Project and Foreman Discovery. Demo for discovering a host. 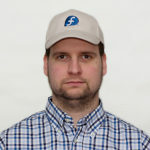 Lukas is Red Hat Satellite 6 engineer and member of Fedora and The Foreman open-source projects. His key responsibilities are hardware discovery, bare-metal provisioning, non-Intel architectures, PXE, SELinux, monitoring and performance.